Many aspects of modern life – and not just over indulgence – can lead to indigestion. Rushed meals, wearing tight belts and restrictive clothing, eating irregularly or too much in one sitting, or eating rich or irritant foods, can all lead to heartburn with its symptoms of pain in the lower chest, flatulence and nausea. Most people with indigestion never seek professional help, prefer­ring to pop over-the-counter indigestion tablets and return as quickly as possible to the same habits that caused the problem in the first place. Antacids may temporarily reduce stomach acid, but ultimately they result in the stomach producing even more acid in an effort to restore balance. Prescription medications may not help either. A recent study has found that long-term use of commonly prescribed heartburn and ulcer medications called protein pump inhibitors (PPIs) is linked to a 65% higher risk of vitamin B12 deficiency. Stomach acid aids in vitamin B12 absorption; suppressing the acids can lead to a health-threatening deficiency linked to an increased risk of dementia, nerve damage, anemia, and other medical complications, some of which may be irreversible. Happily the world of herbs gives us lots of different ways to soothe the burning and bloating that can come with indigestion. The easiest way to take them is brewed as a tea. If you grow herbs in your windowbox, or in the kitchen you will always have fresh supplies on hand to help calm an upset stomach. Whether you use fresh or dried, remember that a herb tea should have the pungent smell and taste of whatever herb you are using. Quality (and preferably organic) herbs will ensure you get the most healing power from every cup. Bitter orange (Citrus aurantium) like all bitter herbs, is thought to stimulate digestive function by increasing saliva production and promoting both stomach acid and the production of digestive enzymes. Bitter orange is derived from the peel of the Seville orange. The German Commission E (responsible for reviewing scientific evidence and granting commercial approval of substances and products previously used in traditional, folk and herbal medicine) has approved it for loss of appetite and dyspeptic ailments. It has other related benefits as well. One laboratory study showed bitter orange could potently inhibit rotavirus (a cause of diarrhoea in infants and young children). Bitter orange, as part of a herbal combination formula, reportedly normalised stool function and completely eased intestinal pain in cases of non-specific colitis and normalised stool function in people with constipation. Use about ½ tsp of dried peel per cup (175 ml, or 6 oz) of boiling water, steep for 10 mins. Alternatively try a shot of orange bitters in a small glass of water. Chamomile (German chamomile or Matricaria recutita) has both carminative and bitter properties that make it effective in relieving inflamed or irritated mucous membranes of the digestive tract. Heartburn sometimes involves reflux of stomach acid into the oesophagus, so the anti-inflammatory properties of chamomile may help ease this. In addition, chamomile promotes normal digestion and has also been shown to be useful in preventing inflammation of the gastrointestinal tract (mucosis) – a common side effect of cancer treatment. Roman chamomile (Anthemis nobilis) has not been studied for indigestion though it has traditionally been used in a similar way to German chamomile. To make a tea use 1 tsp dried herb (1 or 2 two tsp fresh) to a cup (175ml or 6 oz) of boiling water. Drink 3 times a day, between meals. Alternatively, 3–5 ml of chamomile tincture may be added to hot water to soothe an irritated bowel. Dandelion (Taraxacum officinale) is a bitter herb also has a detoxifying effect that can be useful if you have overindulged. If you have low stomach acid it may be useful, but if your indigestion is caused by too much acid try a more soothing herb. Can be taken as a tea or a tincture. To make tea use 1-2 tsp dried herb (or double that of fresh leaves) to a cup (175ml or 6 oz) of boiling water. Drink 3 times a day in between meals. Ginger (Zingiber officinale) is a well known treatment for nausea but it is also useful for soothing a variety of gastrointestinal complaints, ranging from flatulence to stomach ulcers. Ginger is also an anti-inflammatory and has been shown to enhance peristalsis (the movement of food through the intestines) and is thus an aid digestion. Try brewing ½-1 tsp (2-4g) of minced of finely chopped fresh ginger per cup. Drink several cups a day. Linden flower (Tilia europea) is also known as lime flower, and has a long tradition of use for indigestion. 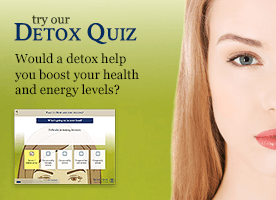 It has an anti-spasmodic action that helps relax the gut. It also helps to settle the stomach and relive wind. Steep 2–3 tsp of flowers in a cup of hot water for 15 minutes. Drink throughout the day. Liquorice (Glycyrrhiza glabra) has a demulcent action that protects the mucous membrane that lines the digestive tract by increasing the production of mucin, a compound that protects against the adverse effects of stomach acid and various harmful substances. The type of liquorice preparation most often used by people with indigestion is known as deglycyrrhizinated liquorice (DGL). Glycyrrhizin, which occurs naturally in liquorice root, has cortisone-like effects and can cause high blood pressure, water retention, and other problems in some people. When the glycyrrhizin is removed to form DGL, the liquorice root retains its beneficial effects against indigestion, while the risk of side effects is greatly reduced. The usual suggested amount of DGL is one or two chewable tablets (250–500 mg per tablet), chewed and swallowed 15 minutes before meals and one to two hours before bedtime. To make a tea from the fresh root use approx 1-2 tsp of the chopped fresh root per cup of water. Boil for 10 minutes in a pan before drinking. Drink 3 times per day. Marshmallow (Althea officinalis) root is another demulcent (the leaves have different benefits). The viscous substance called mucilage in marshmallow appears to soothe acid reflux and the damage it can cause to the oesophagus in people with heartburn. It may also have an anti-inflammatory effect on the stomach and intestines. Marshmallow can be taken in tablet, capsule or tincture form. Alternatively, a drink can be made the following way: soak 30g (1 oz) of the root in 600 ml of cold water and strain. The result will be very viscous and may need further dilution. Take small drinks several times a day. Slippery elm, which is similar to marshmallow, can be used in the same way to soothe the digestive tract. 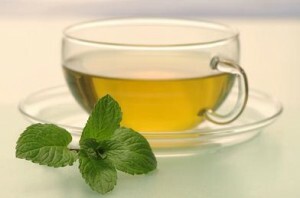 Peppermint (Mentha × piperita) is one of the most popular herbal teas – and one that is widely available outside health shops. Peppermint is a good choice any time of day because of its refreshing taste. But peppermint can also relax the gut (which is why it is also helpful in cases of irritable bowel), relive both nausea and wind and also has a strong antimicrobial action. Try drinking it through the day if you suffer from chronic indigestion and remember that it can be made with either fresh or dried leaves. To make a tea use a heaped teaspoon of the dried herb per cup (175ml, or 6 oz) steep in boiling water for 10 minutes and drink several times a day. Rooibos (Aspalathus linearis) is a traditional tea from South Africa usually brewed as a tea to aid digestion. It is reputed to soothe the digestive tract and ease nervous tension that can make digestive problems worse. It is also rich in healthy antioxidants. You can buy rooibos in supermarkets as teabags. If you want to try the loose leaves use 1-4 teaspoons (5-20g) of the herb is simmered in one cup of water (175ml, or 6 oz) for up to 10 minutes. Rosemary (Rosmarinus officinalis) is another wind-relieving herb that may be helpful in calming an upset stomach. Rosemary leaf is a traditional remedy for indigestion (dyspepsia) and is approved by the German Commission E for this use. It is also good for clearing headaches and treating stress (which can make stomach problems worse). Fresh or dried rosemary can be brewed into a refreshing tea. To make use 1-2 tsp dried herb (or double that of fresh leaves) to a cup (175ml or 6 oz) of boiling water. Drink 3 times a day in between meals.